While the multi-Academy Award winning film of the same name is perhaps the best-known version, the story of the Titanic sinking has been told many times over. 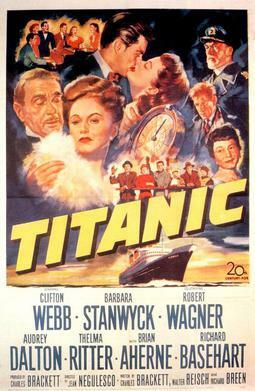 The 1953 version of Titanic is more reflective of the times in it which was made than of the time it is set. It is also wildly historically inaccurate and a bit rushed. However, with some strong performances and moving moments, Titanic holds up rather well. American expatriate Julia Sturges (Barbara Stanwyck) is taking her children Annette (Audrey Dalton) and Norman (Harper Carter) to Michigan, ostensibly to visit her parents. In reality, she's fleeing from her social-climbing husband Richard (Clifton Webb), who has been schlepping the family across Europe to make a name for them. Richard races to board Titanic, forced to buy a third-class ticket from a Basque family to get aboard. Julia is shocked to find her husband on the ship, and a struggle between them commences for the hearts and minds of Annette and Norman. Annette, who has become rather snobbish, is angered that Julia plans to have them leave the marble halls of Paris and agrees to go back to Europe when they dock in New York. Norman is oblivious to all this, though he idolizes Richard. Julia concedes that Annette is old enough to make her own choices, but won't give Norman up. She then gives Richard a surprise: revealing Norman isn't his son. While Annette is too elitist for even such figures as John Jacob Astor and his wife, or "Montana mining millionairess Maude Young" (Thelma Ritter), she soon starts warming to the attentions of Purdue University tennis player Giff Rogers (Robert Wagner). Soon, she begins to fancy him and starts tentatively integrating with people her own age. Norman is puzzled as to why his father won't deal with him, too involved with a long-running bridge game to care to spend time with him. Julia begs him to not shut Norman out, but Richard won't budge. As things culminate, the Titanic hits that fatal iceberg, and the Sturges family makes fateful choices. Titanic feels like an abbreviated miniseries, no doubt due to its brief running time of around an hour and a half. As such, plot elements introduced in Titanic don't seem to have much power or development. For example, there's a subplot about George Healey (Richard Baseheart), a defrocked alcoholic priest who is returning to his family in disgrace. He pops up every so often and is given a noble end, but for a film this short it almost feels like filler. The film has more than its share of flaws. Some flaws are minor. For example, Thelma Ritter's Maude Young is obviously a stand-in for "The Unsinkable Molly Brown", though from what I understand there were legal complications that prevented the name "Molly Brown" from being used. That in itself isn't a big issue. The big issue is giving Ritter so little to do apart from being Richard's bridge partner. Molly Brown/not Molly Brown seems almost tailor-made for Ritter, so it's a shame she just popped in and out. Other flaws are a bit more noticeable. Even without being well-versed in Titanic history, a lot of Titanic does not feel historically accurate. For example, Captain Smith (Brian Aherne) seems to be in a great hurry to get passengers off the ship, which does not seem accurate. Even that could be overlooked if the performance matched that sense of urgency. Be that as it may, Titanic also has more pluses. Webb was strong as this rather unpleasant character whom you were rooting against. Right from the get-go when he cajoles the Basque immigrants Webb manages to say offensive things without being thoroughly reprehensible. "Go into one of your tribal huddles and discuss", he snaps when the husband and wife star weighing his offer. This, however, was what was needed to make his evolution into a man willing to sacrifice himself more moving. 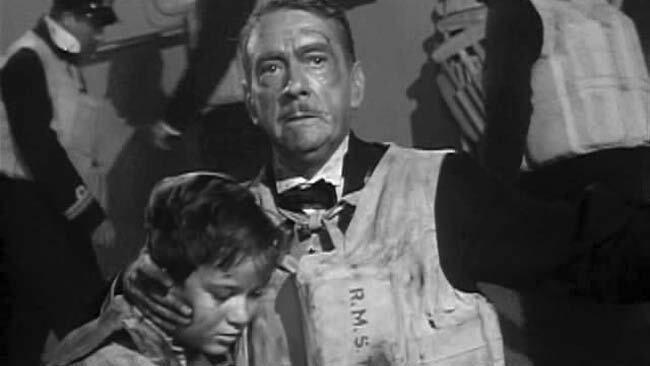 While Jean Negulesco was not a strong enough director to make the impact the scene could have had, one is touched when Richard, snob that he is, rushes down to steerage to rescue the Basque family who sold him the ticket, making sure they got on a lifeboat. His last scene with Norman, who opted to give up his own lifeboat scene to a woman to be with his father, is also incredibly moving. Even now, films that even suggest children dying is rare, but Titanic took that on, making the suggesting of it more emotional. Stanwyck too showed her incredible range, projecting both an elegance and devastating heartbreak when she finds that Norman isn't on the lifeboat as she thought. In turns understand, angry and regretful, Stanwyck really could do it all. 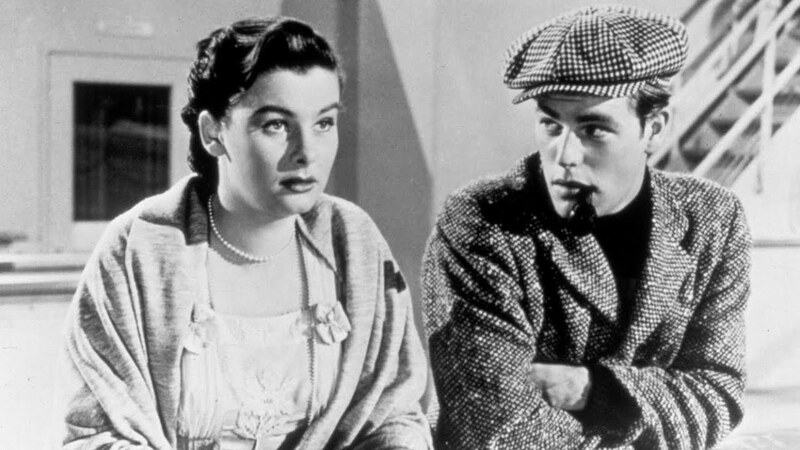 I wasn't sold on Dalton as Annette, someone who came close to making Veda from Mildred Pierce look like Mother Teresa, but she did well as the snob who started to change and see the positives of college students from Indiana. Wagner had an affable charm to Giff, one who could quickly be smitten by this very pretty girl out of his league. Not as massive as other Titanic films, this version is an acceptable fictionalization of that tragic event. With generally strong performances and a moving, albeit wildly inaccurate elements, Titanic works well enough.